I knew how to handle a complaint about food, but didn’t really understand cooking itself. So I qualified as a chef and opened my own catering business. For some people – even ISPA Directors – the spa bug doesn’t bite until relatively late in life. Todd Hewitt was well into his forties before he even went to a spa for the first time, thus proving that it’s not when it bites but how hard it bites that counts. Todd’s spa journey is remarkable too, and not just because it began at a point when most people are slowing down and putting their feet up. 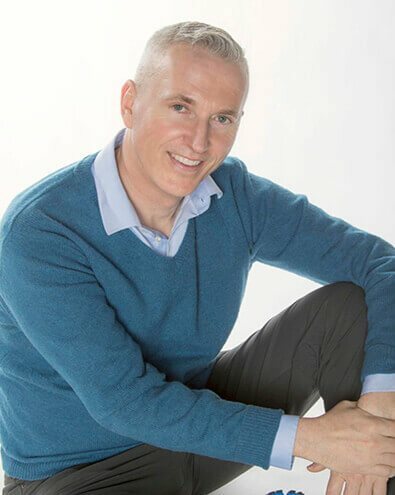 It has taken him from a childhood on a rural dairy farm in Ontario, Canada, all the way to the Corporate Offices of Shangri-La Hotels in Hong Kong, where he currently serves as Director of Spa, Health Clubs and Recreation. The next seven years were spent working back at the family business before Todd’s career took its next turn. He qualified as a fitness instructor – “I was always at the front of the class, so I got picked out so often I decided I should lead the class instead” – and where television executives from Canada’s top-rated breakfast show spotted him. “I was unusual by television fitness standards. I was six four, blonde, and most importantly had enough personality to stop people from changing channels.” Becoming a well-known “face” of television fitness opened lots of new doors – doors that would eventually lead to Hong Kong. Todd’s journey proves that spa doesn’t have to be a career that needs to start early to be a great success. Along the way Todd has become a qualified massage therapist and esthetician and remains devoted to personal fitness and wellness, expanding his options and his career at every turn. All without losing his love of ice cream.